The panoramic view of Kuala Lumpur comprises thick layers of steel and concrete. Several protrude from the concrete jungle with an elongated physique. Standing tall, or so it seems. The artist uses a national landmark, the Kuala Lumpur Tower, to represent the nation. Despite being surrounded by multiple challenges around her, she remains calm, uncontrived by her surroundings. 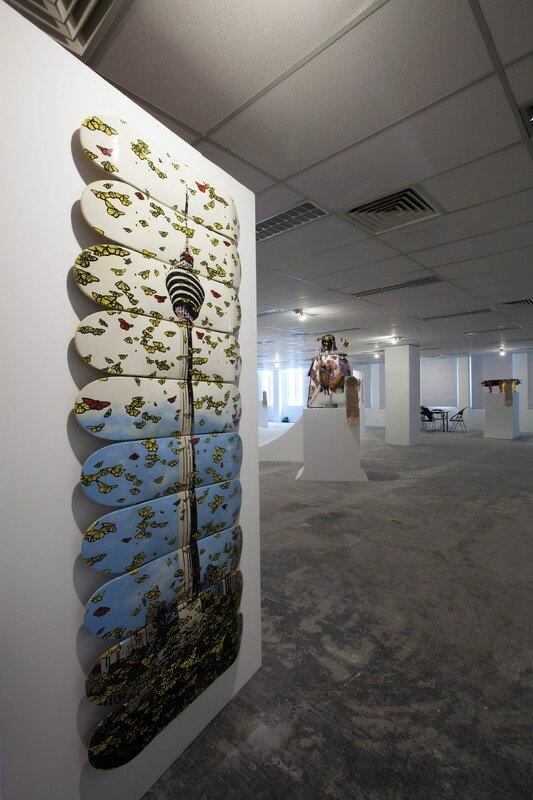 In this work, the artist, Najib Ahmad Bamahaj’s uses butterflies to represent the people of Malaysia. Here they are shown flying around the KL tower, representing the bustling activities that occur around the capital of the country. The colours share the differing opinions that the people have, with the different ideas and approaches; exemplifying the diverseness of opinions available in the multicultural country such as Malaysia. At the same time the butterflies represent freedom and rebirth – past the days of the caterpillar; spending its days grounded amongst the foliage, and limited by its speed and capacity in the distance to travel; akin to the people of Malaysia, with the prosperous future that lies ahead through the promise of differing yet constructive opinions and directions from her people. 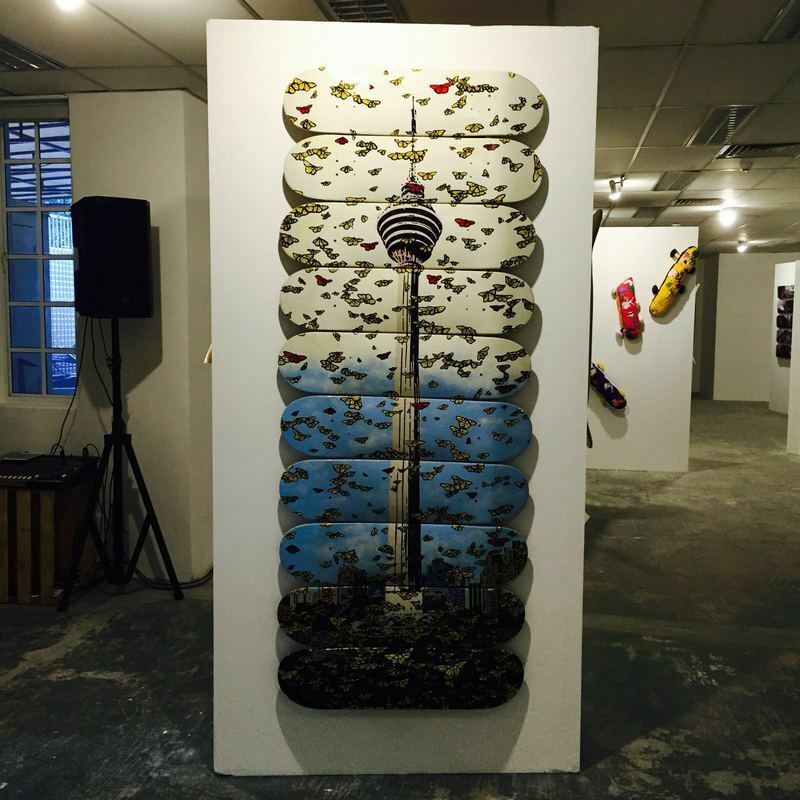 Through Stand Tall, the artist hopes to portray and inspire patriotic awareness in people to continue fighting for a better Malaysia. Najib Ahmad Bamadhaj has many notches under his belt to date. The graduate of UTiM Shah Alam’s fine arts programme has been a mentor to other artists like Shafiq Nordin despite his young age. In 2012, his debut exhibition at art gallery Taksu Kuala Lumpur was sold out. 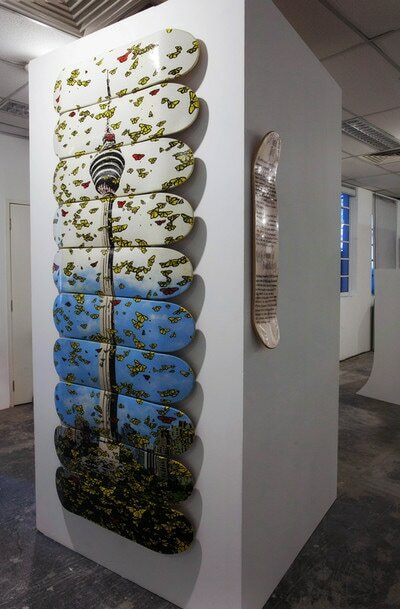 ​Titled Great Migration, it was inspired by the plight of animals losing their homes to human invasion. 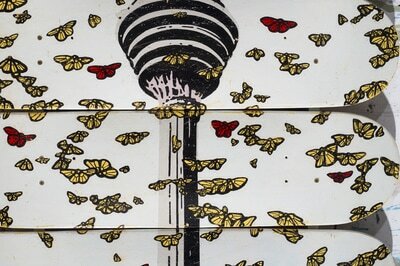 His most recent solo exhibition at Taksu Singapore in 2015 titled Survival features stencil techniques typically employed by street artists that express his concerns about animal rights and endangerment.